it was my birthday on saturday, i booked it off to go to london and find some shops in shoreditch which I've never been to. however i had a super hangover from drinks with my friends the night before. so instead i went on monday. 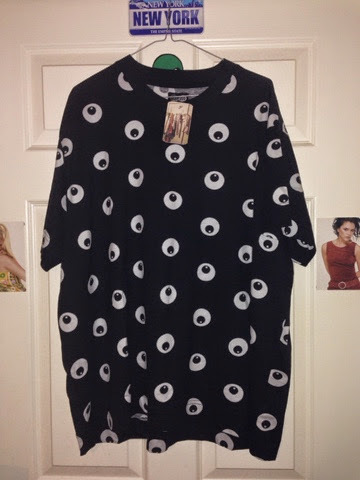 anyway the first shop i recognised was urban outfitters so i went in and bought this eyeball top for £25. 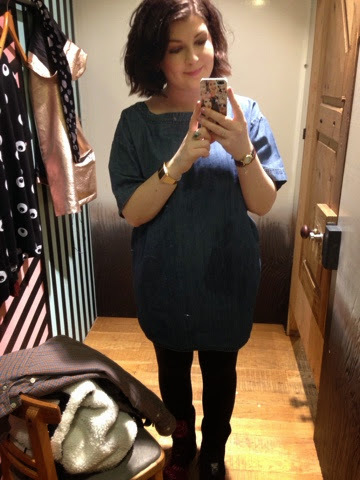 i tried on this denim top, i really want a denim top/dress but haven't found the right one yet. 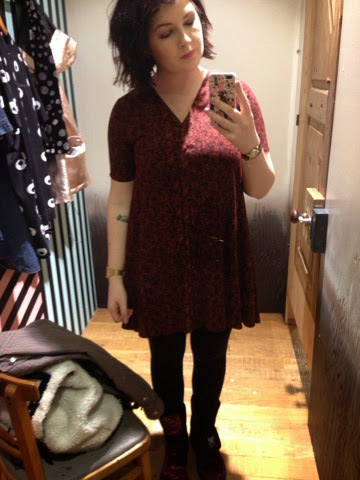 i tried on this too, i don't really like it anymore though but it was pretty fabric. then i found one of the shops on my list, Absolutely Vintage, it was huge and it was amazing they had SO many bags and shoes and coats! i bought this bag for £12 cause it reminds me of these really cool old juggling balls my dad used to have when we were little. 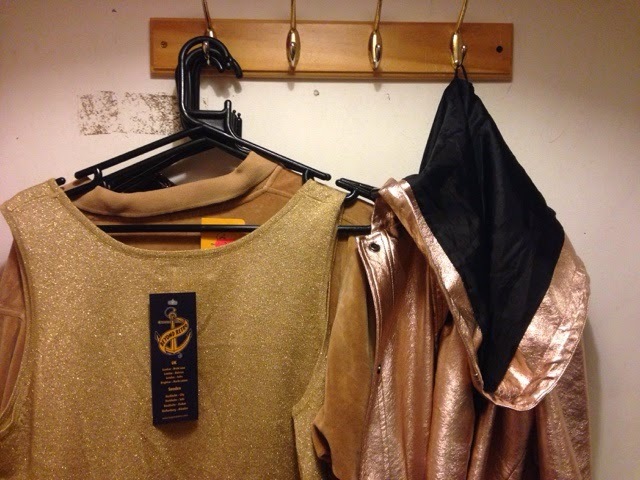 I like gold/shiny things so… this is from the next vintage shop i went to called Blitz, it was amazing i literally spent over an hour in there, everyone in there was lovely. 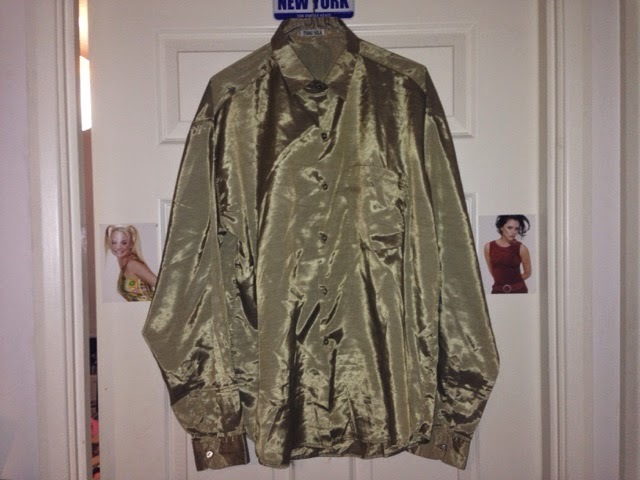 this was £18 and it says thai silk on the label. this is also from Blitz, i don't know how much it was but i think like £25 ish. 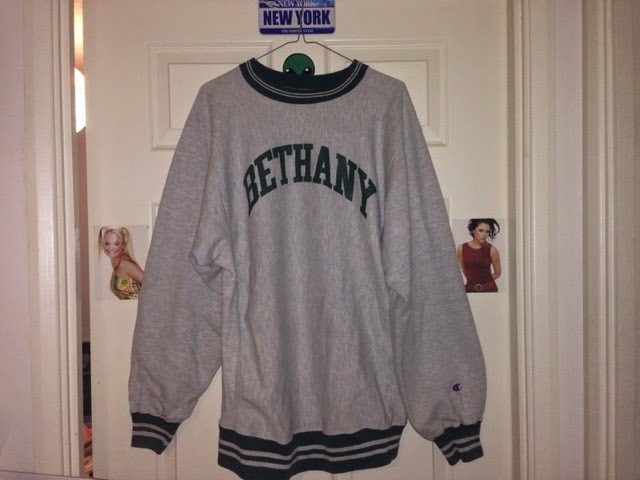 it has the name bethany on it which is so cute of it. 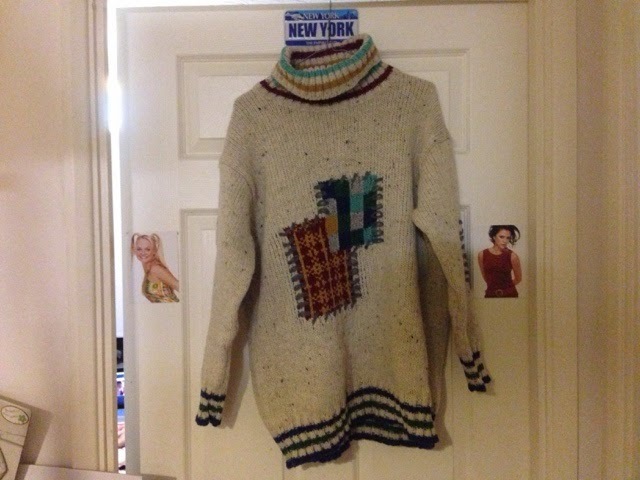 it's a Champion sweater i wish i knew how old it was. 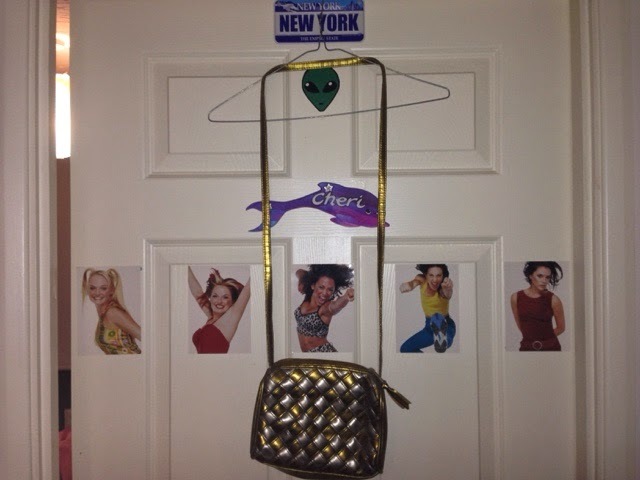 I got this gross little gold silver bag from the same place. The next shop i found, was Beyond Retro, i walked ages to find it and i got lost after i went here. this shop is my new favourite shop ever. it is huge and has so so so much stuff, i want to work there and play with the clothes all day every day. 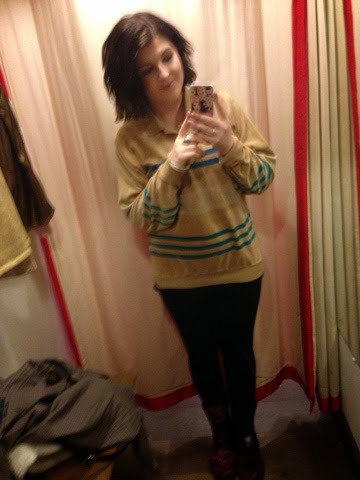 i tried so many things on and i couldn't decide on anything, then i randomly picked up this jumper just so i could buy something before i left. 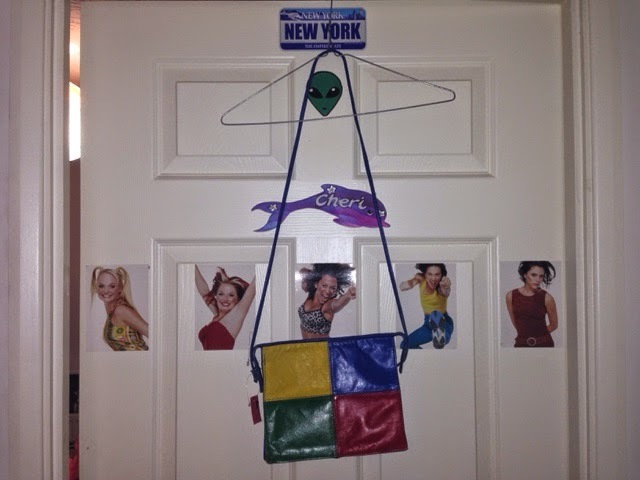 its United Colors of Benetton and made in italy. 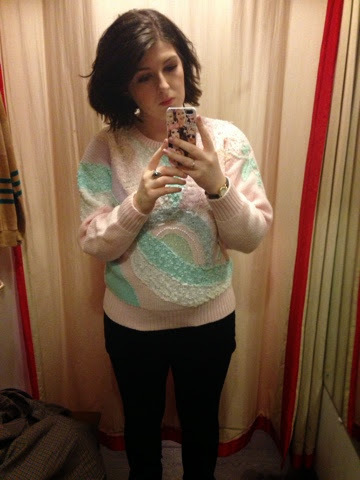 And should have bought this. 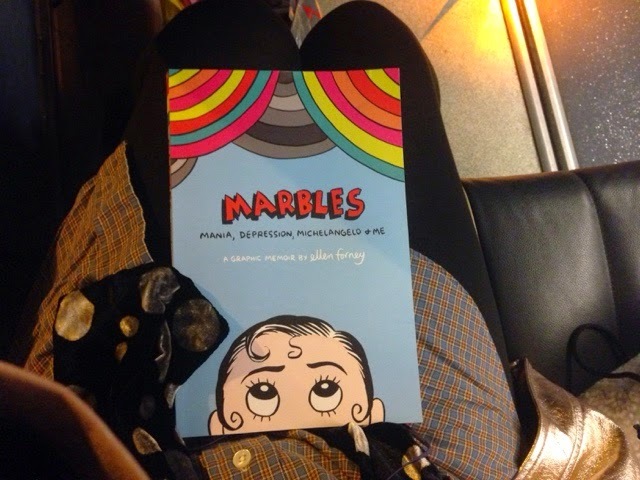 On the busses i read this whole book. 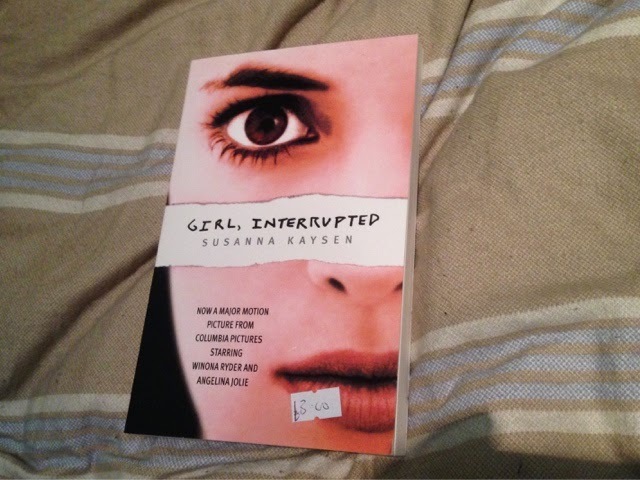 and then i bought this book, from Blitz.